Does anyone know which was written first? Was Isaiah deliberately picking up on Joel’s prophecy or vice versa? 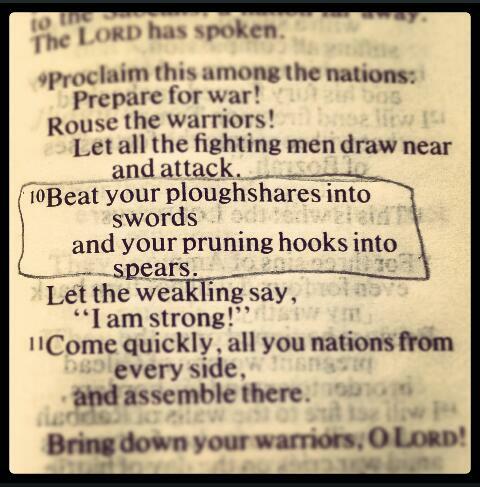 Some of the background info I was reading yesterday said that Joel 3 is usually understood to be speaking of the end times, rather than something God was going to do imminently, so this would be arming for the last big battle, before beating those weapons back into farming implements forever once more.